Feeding Indy’s children one yogi at a time. The Hot Room is excited to announce we’ve partnered with The Patachou Foundation to fight childhood hunger in our community by delivering scratch-made, nutritious meals to hundreds of food insecure children each week. We look forward to including additional healthy lifestyle options and funding to ensure healthy food is accessible to everyone. 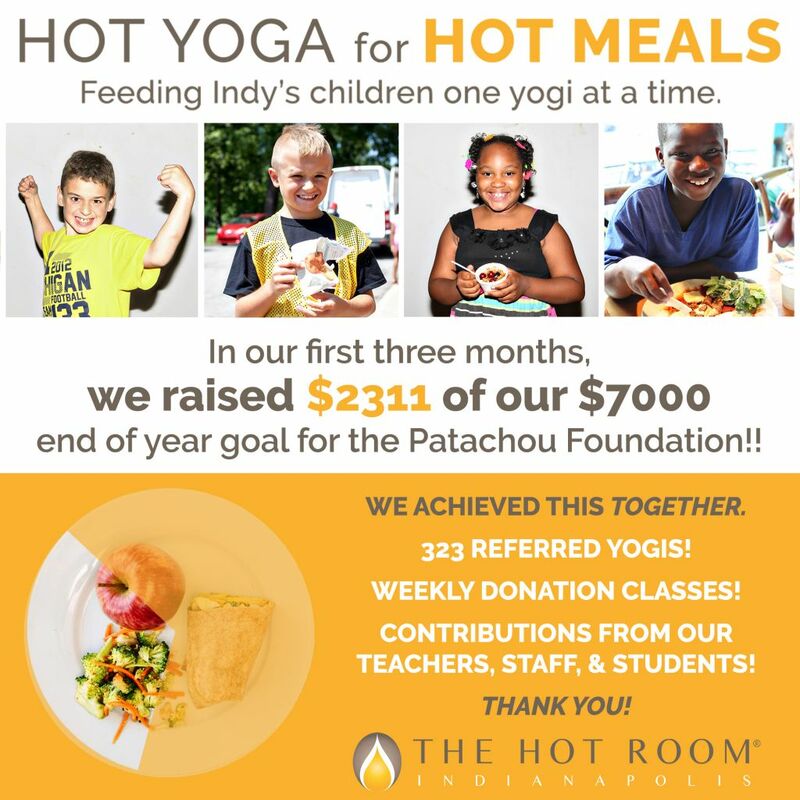 When you refer a new friend to The Hot Room, and this friend takes advantage of our Intro Month, The Hot Room will donate $5 (or the cost of one meal) in your honor to the Patachou Foundation.